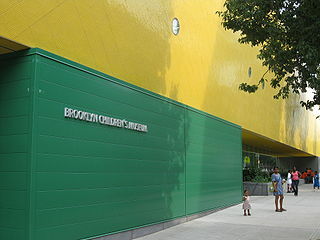 Exterior view of one side of the Brooklyn Children’s Museum. Officials of the Brooklyn Public Library described more details about the planned move out of the Crown Heights library branch to the Brooklyn Children’s Museum. The cost of keeping the branch where it is will cost $8 million, officials say, but only $3 million to make the move. 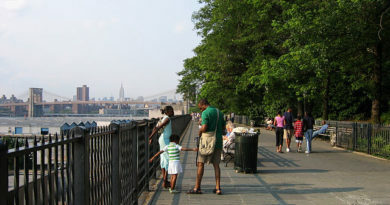 The new library in the museum will take up about 6000-6500 of administrative space in the museum, according to Executive Vice President of External Affairs at Brooklyn Public Library, David Woloch. It is comparable to the space now at the Brower Park branch now at 725 St. Marks Avenue. The BPL will pay the museum $230,000 in yearly rent for the space. Creating a library from the space there now will cost about $3 million. Staying put will cost about $5 million in repairs and an additional $3 million to buy the building. The city built the library branch in 1963, but never purchased the land that it is on, said Woloch. It is located only 1.5 blocks from the museum, and about a 1.4 mile walk for the Central branch of the BPL, which also has a youth wing. Although located within the museum building, the library will have its own hours and a separate entrance. Officials are looking forward to building a state-of-the-art family-centered library with child-focused programing and other resources. “We’re in the process of speaking to as many people as we can,” he said.